Mold is very bad in hummingbird feeders. Remember to change the nectar in your feeder every 2-4 days, regardless of whether the nectar has been used. In hot, humid weather you might even have to change the nectar every other day. I find the more often I change the nectar, the easier it is to maintain the feeder. You won't be battling any black mold and you'll have a lot more hummingbirds and orioles. 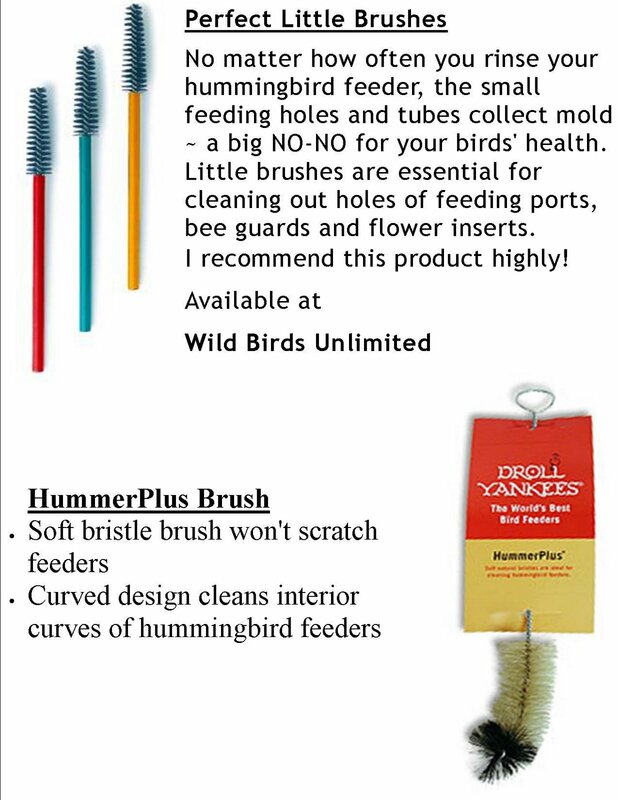 To clean the hard to reach places you can use a pipe cleaner or we have special little brushes for cleaning feeders at Wild Birds Unlimited. 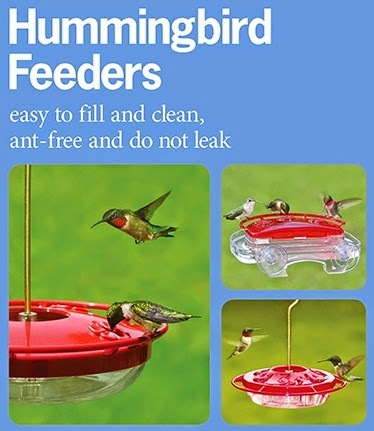 As soon as the weathers turns hot and humid, you should soak the hummingbird feeder for about 5 minutes in a Scoot, active enzyme cleaner once a week. 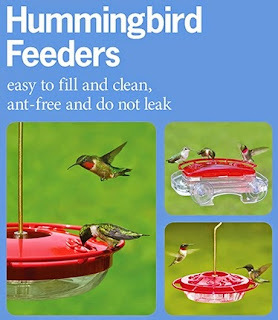 Or use a one part vinegar to nine parts water solution to clean the feeders. Then rinse your feeders thoroughly. Also make sure your nectar solution is the proper proportion. And don't forget to keep your regular bird feeders clean as well!